Âdam (Arabic: آدم‎, translit. ʾĀdam‎) is believed to have been the first human being and prophet on Earth, in Islam. Adam's role as the father of the human race is looked upon by Muslims with reverence. Muslims also refer to his wife, Eve (Hawa), as the "mother of mankind". Muslims see Adam as the first Muslim, as the Qur'an states that all the prophets preached the same faith of submission to God. Returning to the Qur'an, when Allah (God) asked all the angels to prostrate before Adam, they all obeyed, except for a jinn named Iblis, present among the angels. He said, "I am made from fire, when Adam is from clay. I am better than him. I am not going to prostrate before him. Sunni hadith say that while Adam was sleeping, God took a rib from him and from it He created Eve; however, while the creation of Adam and Eve is referred to in the Qur'an, the exact method of creation is not specified. The Qur'an then says that God commanded that Adam and Eve not eat from one tree in the garden of eden, but Iblis was able to convince them to taste it. They then began to cover themselves because they now knew that they were naked. For this, God banished Adam and Eve to earth; non-canonical Sunni hadith say that fruits were turned to thorns and pregnancy became dangerous. Non-canonical Sunni hadith also say that Adam and Eve were cast down far apart, so that they had to search for each other. According to the story of Adam, humankind has learned everything from Adam. He was the first to learn to plant, harvest, and bake as well as the first to be told how to repent and how to properly bury someone. God also revealed the various food restrictions and the alphabet to Adam. He was made the first prophet and he was taught 21 scrolls and was able to write them himself. Adam was also created from earth. It is well known that earth produces crops, supports animals, and provides shelter, among many other things. Earth is very important to human kind, so being created from it makes them very distinct. According to some Hadith, the various races of people are even due to the different colors of soil used in creating Adam. The soil also contributed to the idea that there are good people and bad people and everything in between in the world. Adam is an important figure in many other religions besides Islam. The story of Adam varies slightly across religions, but manages to maintain a general theme and structure. Though it is up for debate, it has been said that Eve went through 120 pregnancies with Adam and each of these consisted of a set of twins: a boy and a girl. According to several sources, God took all of Adam's progeny from his back while they were still in heaven. He asked each of them "am I not your lord?" as read in Q 7:172 and they all replied yes. For this reason, it is believed that all humans are born with an innate knowledge of God. The most famous of Adam's children are Cain and Abel. Both the brothers were asked to offer up individual sacrifices to God. God accepted Abel's sacrifice because of Abel's righteousness and Cain, out of jealousy, threw a rock at Abel, leading to the first murder in human history: the murder of Abel by Cain. As Adam grieved his son, he would preach to his children about God and faith in Him. When Adam's death grew near, he appointed his son Seth as his successor. The story of Adam and creation is pieced throughout the Qur'an. There are references in suras 2, 4, 5, 7, 15, 20, 21, 38 and others. According to the Qur'an, God Created humankind out of clay, shaped it to a form and then commanded the angels to bow (submit) to Adam. Iblis (Devil) refused out of pride and was banished from Jannah (Heaven). Iblis was one of the jinn to begin with. According to the Qur'an, God had already decided before the creation of Adam that mankind (Adam and his progeny) would be placed on earth. Islam does not ascribe mankind's life on earth as a punishment, rather as part of God's plan. "‘Verily, I am going to place mankind generations after generations on earth.’ They (the angels) said: ‘Will You place therein those who will make mischief therein and shed blood, while we (the angels) glorify You with praises and thanks and sanctify You.’ God said: ‘I know that which you do not know.’"
It is evident from the above verses in the Qur'an that God had already decided before the creation of Adam, that mankind would be living out their lives on earth. And in spite of the angels remark that Adam would be a creation that would carry out a lot of actions against God's laws. God says that He knows Adam better than do the angels. "And He taught Adam the names - all of them. Then He showed them to the angels and said, "Inform Me of the names of these, if you are truthful." They said: "Glory to Thee (said the angels), of knowledge We have none, save what Thou Hast taught us: In truth it is Thou Who art perfect in knowledge and wisdom." He said: "O Adam! Tell them their names." When he had told them, God said (to the angels): "Did I not tell you that I know the secrets of heaven and earth, and I know what ye reveal and what ye conceal?" From the above verses it is clear that God is saying that while it may be true that man might be able to do all the bad things that the angels said, the angels overlooked man's high intellectual capacity that he could use to act otherwise (by doing good). From there, the Qur'an introduces Satan (known by the name of Iblis). According to the Qur'an, Iblis, who was not an angel but a jinn, was amongst the assembly of angels due to his high rank. According to the Qur'an angels are made from light, while jinn are made from smokeless fire. God later places Adam and Eve in the garden and tells them that they are free to enjoy of its fruits except not to come near a certain tree: (2:35) "We said: "O Adam! dwell thou and thy wife in the Garden; and eat of the bountiful things therein as (where and when) ye will; but approach not this tree, or ye run into harm and transgression." In the Garden of Eden, Iblis (later known as Shaytan) lured Adam and Eve into disobeying God by tasting the fruit from the forbidden tree. God, as a punishment, sends Adam and Eve out into the rest of the earth. The Qur'an also describes the two sons of Adam and Eve, Cain and Abel. ↑ Lalljee, compiled by Yousuf N. (1981). Know your Islam (3rd ed.). New York: Taknike Tarsile Quran. p. 71. ISBN 978-0-940368-02-6. ↑ Concise Encyclopedia of Islam, C. Glasse, Aadam = Adam = Man = Mankind = Early humans. His wife = Woman = Allegorically, early women. Udma = Ability to live together as a community. Aadam from Udma thus, indicates humankind. The word “Eve” or ‘Hawwa’ is not mentioned in the Qur’an. She is described with dignity as Mer’a-til-Aadam = Wife of Adam = Mrs. Adam. 1 2 3 Wheeler, Brannon M. (2001). Introduction to the Quran : stories of the prophets. New York: Continuum. ISBN 0-8264-4957-3. 1 2 Thorp, John (1982). "The Muslim Farmers of Bangladesh and Allah's Creation of the World". Asian Folklore Studies. 41 (2): 202–203. ↑ Phipps, William (1996). Muhammad and Jesus. New York: The Continuum Publishing Company. pp. 122–3. ISBN 0-8264-0914-8. 1 2 3 4 5 6 7 al-Tabari (1989). The History of al-Tabari. New York: State University of New York Press. p. 259. ISBN 0-88706-562-7. 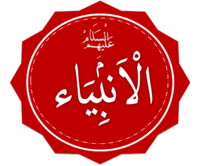 1 2 3 Kathir, Al-Imam ibn (2013). Stories of the Prophets. Fortress iPublications. ISBN 1-4848-4091-7. 1 2 Michael E. Stone, ed. (1998). Biblical figures outside the Bible. Harrisburg, Pa.: Trinity Press Internat. ISBN 1-56338-247-4. ↑ Knappert, Islamic Legends, 39-40.